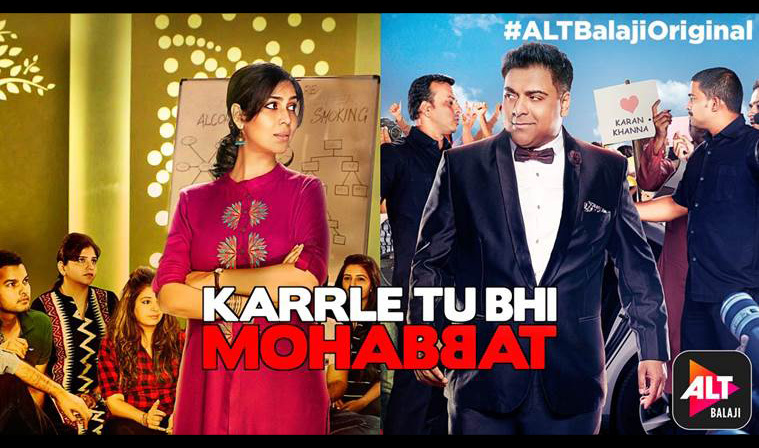 Karrle Tu Bhi Mohabbat Review - Sakshi Tanwar, Ram Kapoor steal our hearts! Karrle Tu Bhi Mohabbat Review – Sakshi Tanwar and Ram Kapoor steal our hearts! 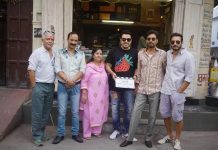 Episode one of the show opens with introducing the lead characters – Karan Khanna (Ram Kapoor) and Dr. Tripura Sundari Nagarajan (Sakshi Tanwar). Karan Khanna is an alcoholic actor who’s stardom has faded over the past three years. He is a divorcee and is abandoned by his friends due to lifestyle issues while he tries to earn a living through B-grade ads. He is a Punjabi guy who loves food and alcohol. On the other hand, Dr. Tripura Sundari Nagarajan is a successful 34 year old therapist who works at a de-addiction and rehab center. Just like Bade Ache Lagte hain, Sakshi Tanwar plays the role of a hard-working middle class woman who deals with her mother’s concern over her marriage with a light-hearted attitude. To mend his ways, Karan meets Dr. Tripura at the de-addiction center and their love-hate relationship unfolds from there. The next few episodes revolve around the therapist and patient’s relationship and how Dr. Tripura is determined to stop Karan from leaving his course half way! As one arrives at Episode 7, Karan’s reluctance to treatment and counseling become apparent with his grand plan to escape therapy. As the episodes progress, one is taken through the several similarities in the two character’s lives. From Karan’s publicist pointing out how he leads a self-destructive empty life to Tripura’s flat-mate making her aware of the void that exists in her life, despite the highs in her career. Both characters have extremely different personalities but are both hopeful of a better tomorrow. The story is fast paced and there are no low points in the show, except one maybe. The awards show in the first episode seems pretty fabricated and causes one to lose connect with an otherwise engaging series. Both Sakshi Tanwar and Ram Kapoor easily slip into their roles and remind us of the larger than life chemistry they shared in the popular television series, Bade Ache Lagte Hain. Karrle Tu Bhi Mohabbat is one of those love stories which leave you with a tingling sensation. It captures the journey of two lovers who at first dislike each other and the gradually fall in love. It’s a highly recommended watch, especially if you enjoy the genre of romance. Next articleThese Bollywood celebrities and their pets will simply melt your heart - Photos!